Thailand - Islamists or separatists? FOUR decades on and after some very unpalatable violence, the separatism plaguing the provinces of South Thailand has become more difficult to characterise. Even to say that the separatists are the culprits behind the recent bombings in Songkhla province is not a certainty. Organisations there, be they criminal, militant or political, have come and gone on quite a regular basis with each dying group replaced by one newly spawned. Where once the ideology was easily identifiable as calling for the resurrection of the Islamic kingdom of Pattani, these sentiments are morphing into a struggle for an independent nation of the five overwhelmingly Muslim provinces of the South, all bordering Malaysia where blood relations straddle. Families exist on both sides of a boundary arbitrarily decided, most recently, after the post-World War 2 return of the British to colonial Malaya. That Malay-Muslim Pattani was given over to Thai sovereignty merely perpetuated the then already half century of resentment against Bangkok's insistence on assimilation, which rage tended to periodically translate into armed insurrection. Meanwhile, on a more regular note, murders, assassinations and missing individuals became a customary feature of the landscape. This lawlessness that has yet to be eradicated confused the picture to the point that even Bangkok made the mistake of dismissing the idea of Islamic militancy in recent years. There is, too, the rather secretive nature that organised political terror there has taken. Since the early 21st century, the tendency has been for such incidents as the recent bombings to be left unclaimed by the perpetrators. This, according to observers familiar with the situation, is also making negotiated settlement difficult given that identifying the personality most influential on the ground is tricky. Indeed, an educated guess regarding the latest bombings leads one to the conclusion that the separatist offensive has opened a new theatre in Songkhla. Until very recently most of the separatist war has been confined to Narathiwat, Yala and Pattani, which analysts have attributed to the difference in ethnicity of the Muslims in Songkhla and Satun. This latter is generally regarded as Thai-Muslims and the former, Malay-Muslims. If this analysis is accepted, then separatist sentiment is spreading along the ummah construct. However, given that the incident took place against the Bangkok political turbulence and the impending general election called by Yingluk Shinawatra's administration, what are the chances that this could be a causal factor? More important to Malaysia though is the proximity of this latest act of terror, which must raise the alarm on this side of the border. Indifference and complacency are not options. (NAPSI)—As Indonesia prepares for the most important elections in the country’s history, technical problems and political corruption threaten the credibility of the fast approaching polls. The 2014 legislative and presidential elections will be just the fourth national poll for the world’s fourth most populous country in the 15 years since the fall of the dictatorial Suharto regime. Accommodating for nearly 200 million voters spread over 17,000 islands in the Southeast Asian nation is a monumental task. However, the 2004 elections were widely viewed as free and fair while the 2009 polls faced problems but managed to get a passing grade by most international observers. For the 2014 cycle, the challenges and accusations of manipulation are mounting by the day to an unprecedented level while the stakes to conduct free and fair elections could not be higher. 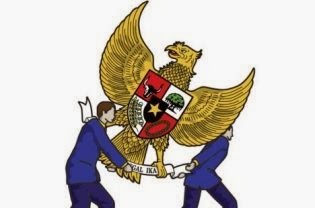 Political corruption continues to plague the Indonesian government and erode public trust in political parties and the electoral authorities due largely to greed, abuse of power, and inadequate financing laws and oversight. In perhaps the most ominous sign of potential electoral manipulation, reports are surfacing that the Indonesian Electoral Commission (KPU) is banning international election observers except for those handpicked “friends” of the ruling party. Several presidential candidates have expressed serious concern over the challenge that rampant corruption represents to this young democracy, still working to build its foundation of representative government. Gerindra party founder and leading presidential candidate Prabowo Subianto has stated he will stamp out government corruption and manage the government like a business, incorporating “modern management techniques: IT, transparency and e-government.” Many polls are responding to his no-nonsense approach to addressing the country’s biggest challenges and his popularity is continuing to rise as a result. Additionally, major problems with the voters list have continued to raise concerns about the country’s ability to conduct free and fair elections next year. Reports are surfacing of millions of inaccurate voter registration data or even fictitious voters that could result in more than 10 percent of the electorate being turned away at the polls or millions of fraudulent votes. In an election expected to be the most highly contested in the country’s democratic era, several political parties are understandably concerned and calling for answers. The KPU claims to be working to fix the glitches but concerns about the capacity to meet the challenge continue to linger. With a booming population and a third of the electorate voting for the first time, the stakes are high to get the younger population to invest in civic participation and trust in the democratic process. 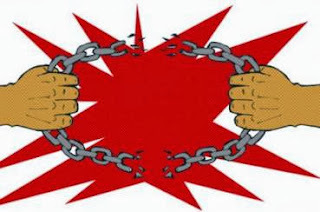 The list of challenges to meeting the threshold of a free and fair election in Indonesia is long and the road to get there is, unfortunately, getting shorter by the day. After months of speculation, the 60-point document that emerged from the Third Plenum of the Communist Party of China’s (CPC) Central Committee in mid-November contained few surprises. It confirmed expectations regarding economic policy and hinted at changes in the one-child policy and system of reeducation through labor. However, it did not address one of China’s gravest challenges: promoting socially and environmentally sustainable behaviors among the population, some one-fifth of humanity, at large. The state’s efforts to address this have so far been timid and incoherent. Breakneck growth and urbanization have brought unprecedented prosperity, but many feel that the values and behavior accompanying this evolution are in need of review. The costs of business as usual have been mounting: from litter-laden streets to melamine-tainted milk to ever more alarming examples of corruption and apathy. Even President Xi Jinping recently stated that his nation’s moral compass has gone awry. Since assuming leadership of the Communist Party of China (CPC), Xi has been trumpeting the Chinese Dream, a vision described at times as “a national rejuvenation” and at others as “the aspiration for a beautiful life.” Although he has stated that the Dream will be realized by mid-century, exactly what it entails and how it will be achieved remain unknown, and the Third Plenum’s report did little to elaborate. Given the urgency of the issue, only an expansive, cohesive and sustained Public Service Announcement (PSA) campaign will do. This campaign will have to learn from past mistakes: floridly worded yet vacuous campaigns, including the previous administration’s Harmonious Society campaign, no longer resonate with an increasingly sophisticated Chinese public. Responsibility lies with the CPC’s over-centralized Publicity Department (CPCPD). After Deng Xiaoping consented to “let some get rich first” in the early 1980s, he unleashed ambitions that had been suppressed for decades. The institutions necessary to govern the transition towards a market economy were weak, and abuses became widespread. By the 1990s, the Party’s leadership felt that materialism had infected the national psyche, and saw discontent with official corruption result in instability. Jiang Zemin’s administration began actively advocating for the restoration of traditional Confucian values, which had been systematically purged in Mao’s era, and created the Central Commission for Guiding Cultural and Ethical Progress to complement the existing Leading Group for Propaganda and Ideological Work. Together, these two top-level agencies direct the work of the CPCPD. The CPCPD is arguably the world’s most powerful propaganda apparatus, and has a long tradition of shaping values and attitudes via mass campaigns with a scope spanning virtually every media outlet available. Whether through print, broadcasts, the Internet, exhibits, cultural performances or official events, the CPCPD conveys meticulously thought out messages intended to bolster support for the Party’s policies and campaigns. The Harmonious Society campaign, adopted in the 11th Five-Year Plan (2006-2011), aimed to address some of the endemic growing pains that were accompanying China’s rise onto the world stage. 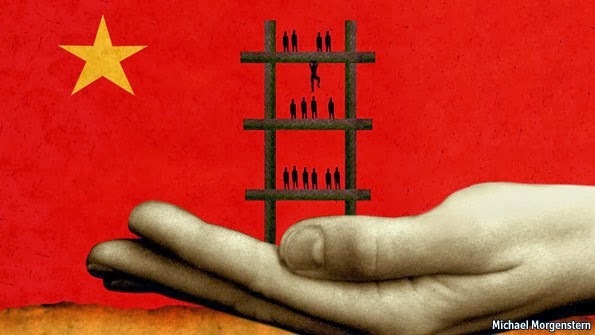 Realizing that social development was lagging behind economic gains, the state was to take a more active role in preempting any instability that might arise from China’s widening inequalities. In theory, this vision would be realized by 2020 if priority were given to policies promoting the reduction of inequalities through the integration of disadvantaged social groups and underdeveloped regions. The expansive guidelines published by the CPC’s Central Committee, however, were vague on specifics. Using action verbs such as “improving,” “guaranteeing,” and “favoring,” it provided very few concrete procedures or measurable milestones. The problem with state-led campaigns promoting “a harmonious society” or “civilized behavior” is that they represent abstract ideas which are not conveyed in an appealing fashion. The continuing marketization of the economy and rising disposable income have made Chinese citizens more self-aware and sophisticated regarding their individual preferences and personal consumption. Globalization and the spread of the Internet are molding an urban middle class that is more diverse and discerning in its tastes, and their expectations can no longer be met with the bare minimum. This said, social campaigns and PSAs should not be completely written off; the state still stands a chance of being heard if its message is packaged and delivered correctly. To do so, it can draw lessons from its own successful, behavior-changing public service campaigns, as well as those from NGOs. When Beijing was selected to host the 2008 Olympic Games, China was given a chance to showcase its progress to the world. The Olympics were to be an exercise in national prestige, and civic pride dictated that everyone should be on their best behavior. In the capital, a citywide campaign spearheaded by the ad-hoc municipal agency called the Capital Ethics Development Office was set up to organize and execute a campaign specifically aiming to curb spitting, littering and public cursing, and promote orderly queuing. The lead up to the Shanghai World Expo in 2010 marked a similar transition for Shanghai citizen behavior. As well as addressing the same concerns as in Beijing, the Shanghai campaign also sought to rein in the venerable Southern Chinese tradition of wearing pajamas outside. Both campaigns were largely successful, having consisted of concerted efforts employing all forms of media and teams of volunteers dispatched to the streets to help with enforcement. Unfortunately, once each city’s respective spectacles were over, gains were lost. The ads and volunteers disappeared, enforcement became lax, and an influx of migrants who had not been exposed to the campaigns all but ensured that old habits returned. An exemplary NGO-led PSA campaign is that featuring retired NBA superstar Yao Ming, one of China’s biggest household names. After hanging up his jersey, Yao became a member of the Chinese People’s Political Consultative Conference and an ambassador for WildAid. His work as spokesman against shark-finning and shark fin soup is one of the most visible public service campaigns in China today. This aggressive, high profile advocacy campaign used a combination of print and media sources and also employed other prominent figures, including Jackie Chan and Ang Lee. Conservationists claimed numerous victories over the years of the campaign, including the prestigious Peninsula Group of hotel chains’ commitment to no longer sell shark fin dishes and the banning of shark fin soup at official banquets. According to a WildAid spokesperson, the consumption of shark fin soup has dropped 50-70 percent in the past two years. As opposed to the rhetoric-heavy, abstract language of the Harmonious Society campaign, these campaigns have all had specific objectives, clearly mentioning the kind of behavior that they sought to change. They have pulled the interest of the Chinese public either by appealing to their pride, their admiration of celebrities, or their compassion, and they have highlighted the costs of business as usual, be they unsightly streets and inefficient transport or suffering animals and shattered ecosystems. They have been educational, without being condescending. Moreover, they have backed up their messages with actions, attempting to legitimize their plea, reinforce the proper behavior, and enforce existing laws. The CPC and the Chinese state are no strangers to mass campaigns, but the Harmonious Society drive has made it evident that old techniques are no longer able to generate a visceral connection with the public. If the Chinese Dream isn’t approached differently, it runs the risk of being labeled xin ping zhuang jiu jiu: old wine in new bottles. With 33 provincial level administrative divisions and 56 officially recognized ethnic groups, China is incredibly diverse, and a one-size-fits-all approach would not be the most effective approach; what works in Zhejiang might not in Xinjiang. In minority regions in particular, involving locals and showing deference to their own beliefs and attitudes will be incredibly important. In order to tailor PSAs for specific audiences, production of ads and outreach initiatives would necessarily have to be decentralized. Final approval could remain at the CPCPD’s discretion, but local governments and civil society should be given ample creative leeway. If local tastes and attitudes are ignored, the campaign runs the risk of being ridiculed or even backfiring. China has 591 million internet users, 460 million of which are mobile web users with access to information at their fingertips. Some 99.1 percent of villages and towns have Internet connections and more than 95 percent have broadband access. People from all walks of life are active on social media platforms such as the Sina Weibo microblog service. These have been fundamental to the development of an ever more interconnected Chinese civil society, which is just as capable of criticizing government as it is of promoting civic-minded behavior. It is essential that anything produced carries enough credibility with China’s netizens to go viral for the right reasons, rather than becoming a target of mockery. Apathy: The Chinese term weiguan is a rough equivalent to the bystander effect. It is used to describe a scene in which a crowd surrounds a person in need of help, but offers no assistance. Yet in China, the reasons for inaction may be quite specific, with the 2006 case of Peng Yu, who was successfully sued by the stranger he rushed to the hospital, marking a sorry precedent. In a poll conducted by the Party-run China Youth Daily in 2011, shortly after the death of a toddler who was run over in a Foshan alley, 70.7 percent of respondents believed that the 18 passers-by who then ignored her did so in order to avoid getting themselves into trouble. Ads should encourage proactive behavior, teach the public how to notice and respond to emergency situations, and highlight heroism when appropriate. Social etiquette: A number of general standards of etiquette are widely held to be requites for basic social interactions. Public urination, spitting, pushing and cutting in line, “Chinese style street crossing,” and aggressive driving are just some of the behaviors that should be reduced in China’s public sphere. Curbing these behaviors will not only improve public safety and public health, but also improve China’s national and global image. Environmental awareness: The successful initiatives of NGOs such as WildAid and IFAW show that Chinese attitudes towards the environment are already changing. Indeed, the latest study conducted by the Pew Global Attitudes Project showed that public concerns over air and water pollution now trail only inflation, inequality and corruption. On the citizen side, littering and improper waste disposal, overuse of air conditioners, the burning of trash, and aversion to carpooling are but a few of the deficiencies that can be addressed. However, the government must also honor its commitment to regulate polluting industries, including state-owned enterprises, if it intends to project any credibility. In all these cases the costs of inaction can easily be highlighted. A commitment to quality: Although Toyota popularized the term kaizen, the word is derived from the Chinese gaishan, meaning “to improve.” As the country transitions towards a service-dominated economy, attention to detail and a spirit of continuous improvement are becoming increasingly important. China has nearly perfected the art of cutting costs, yet in order to become known for quality and innovation, it must correct its tendency to cut corners. Tragedies such as the poisoning of over 300,000 babies by tainted milk formula or the collapse of buildings and bridges are entirely avoidable. PSAs should encourage pride in one’s work and a commitment to product safety and reliability, while collusion between businesses and regulators must be curbed. The artistic creativity needed to make an appealing and effective PSA requires ingenious minds who are familiar with the target audience’s tastes. The CPCPD must necessarily cooperate with private sector actors specializing in marketing and advertising, activities in which interactivity has become a vital aspect. On this front, China’s first public service advertising competition, which was launched this August by state-owned CCTV and received over 4,000 submissions, is a laudable initiative. Although PSAs aim to educate and affect attitudes and behaviors, some of the same elements used to sell commercial products can be incorporated. Flowery words, patriotic slogans, and revolutionary jingles are not effective tools for disseminating PSAs to a sophisticated audience. Understanding consumer psychology and behavior is instrumental to developing a campaign that takes into account responses to design and employs the most efficient methods to ensure information retention. Different channels of communication must each be utilized to their maximum potential, meaning that designs should be specific to each medium and interactivity should be incorporated wherever possible, giving citizens a role and a voice in the campaign. The campaign should also use Chinese celebrities and other household names as ambassadors to deliver information and testify on behalf of desirable values and behaviors. These messengers are essential to attract attention, personalize abstract concepts, provide credibility and facilitate concept association to ensure retention. Yao Ming’s participation in WildAid’s successful campaign is a perfect example of the power of celebrity. China’s growing ranks of world-class directors could also contribute to the production process. The Party should also consider dispatching a dedicated public relations team of experts, officials and other advocates who can stress the importance of new behaviors in the public sphere, making appearances at talk shows, public events and entertainment outlets. Investing in these smaller, “pop-up” campaigns will add a human-interest angle that can influence audiences on a more intimate, relatable level. This can encourage citizens to seek further information and stimulate public dialogue on the topic. Judiciously applying policies that demand and reward good behavior has the power to induce and maintain a stronger value system. Singapore is a notable example of the role that the state can play in correcting unsustainable behavior. Although occasionally labeled as sterile, it is undeniable that strict government efforts have yielded impeccable social etiquette, with gains reflected in public health, order and efficiency. The punishment of egregious forms of bad behavior, such as traffic violations and littering, must be consistent. The “stick” aspect of the campaign would require new legislation and a dedicated public order force devoted to identifying infractions and executing commensurate penalties swiftly. These should not be limited to fines, which would disproportionately harm the poor while amounting to a slap on the wrist for the rich. Guilt and shame are powerful psychological tools, especially given the importance of face in Chinese culture. Best practices from around the world, such as those implemented in Bogotá under the mayorship of Antanas Mockus, could be adapted for Chinese society. The potential penalties for particular behaviors must be highly publicized, and the public must come to believe that both the likelihood and price of being caught are extremely high. The campaign must also have its “carrots,” including the tactful celebration of those exhibiting exemplary behavior, altruism, and self-sacrifice. China’s millenary culture can rightly be described as exceptional, but its longevity does not imply that it is monolithic. Throughout its history it has had to adapt to survive, and it has often done so under the state’s guidance. Now, with globalization an irreversible reality, the state must step up once more to ensure that the nation’s newfound prosperity is accompanied by societal attitudes and behaviors befitting of its status. Xi’s vision of the Chinese Dream provides the perfect opportunity for a mass campaign dedicated to achieving this. The costs of business as usual are soaring, with measurable effects on public health and safety, economic efficiency, the environment, stability, and China’s global image. The myriad individual transgressions are but the tip of an iceberg. The CPCPD must learn to adjust to the reality of an increasingly sophisticated audience and avoid repeating past mistakes. Some may argue that pinning hope on yet another PSA campaign is misguided, that the public has learned to phase out propaganda. But if a PSA can be attractive, it can be influential. Modern marketing techniques can ensure that messages get across – and stick. If the CPCPD loosens the reigns a bit and allows for a decentralized production model, it might just be capable of launching the kind of expansive, cohesive and sustained PSA campaign needed to address China’s problems with the necessary breadth, depth, and speed. If it continues resorting to outdated methodologies, however, the Chinese Dream might someday be remembered as a daydream. Richard Ghiasy is a Research Fellow at the Afghan Institute for Strategic Studies (AISS) and a former analyst at the Afghan Embassy to the People’s Republic of China. Stephan Mothe writes for the Shandong Academy of Social Sciences. Frances Pontemayor is a liaison for the Metallurgical Corporation of China’s strategic investments in Guam. Indonesia may not be on the verge of becoming an Islamic theocracy, but it certainly has lost its credentials as a model for Muslim democracy. In the years following the downfall of Soeharto in 1998, persecution against minority groups intensified with the government largely seen as guilty of complicity in many acts of bigotry — at least by omission. The trend, sadly, did not change in 2013, with several Christian groups still facing hurdles in building churches, Ahmadis nationwide still banned from practicing their faith publicly and dozens of Shiites in Sidoarjo, East Java, still unable to return to their homes in Sampang, Madura, after more than a year of being displaced in their own country. Overall, 2013 has been another bad year for pluralism. The core of the problem persisted: the government failed to comprehend the basic idea of human rights, of what it means to be free to practice what you believe in, as stipulated in the 1945 Constitution. It kept confusing freedom of religion with appeasing the majority (or the Muslim radicals, to be more exact) in the name of “respecting other people’s beliefs”. That is why whenever a religious conflict occurred, the government’s default stance would be siding with Sunni Muslims. The government’s bias in its efforts to resolve religious conflicts could not be more obvious in 2013. 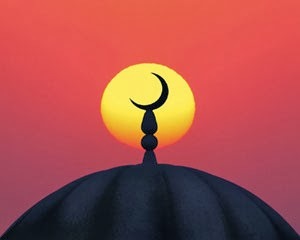 In August, the government was accused of supporting the forced conversion of Shia followers to Sunni Islam in a reconciliation program it ironically claimed was meant to end the conflict between the two Islamic denominations in Madura. According to Hertasning Ichlas, executive director of Universalia Legal Aid Institute (YLBH Universalia) and an attorney for the Sampang Shia community, Religious Affairs Minister Suryadharma Ali and a fellow United Development Party (PPP) politician Djan Faridz attended meetings where the Shiites were allegedly forced to renounce their faith if they wished to return home. Hertasning claimed that 34 out of around 235 Shiites evicted from Sampang returned to their homes after signing a pledge of nine points, including a willingness to return to “the true teaching of Islam” as well as to condemn the teachings of Shiite cleric Tajul Muluk, who is now in jail on blasphemy charges. Tajul was indicted for blasphemy after a mob accusing him of spreading heretical teachings burned down his pesantren (Islamic school) in December 2011. In July 2012, he was found guilty by the Sampang District Court of defaming Islam by telling his followers that the current Koran was not the original version, and that the true Koran was still in the hands of Imam Mahdi. The verdict was followed by a mob ransacking his and his followers’ houses, an attack that killed two Shiites. Suryadharma denied the accusations, saying the government was only trying to “enlighten” the Shia members. “I never forced them to convert to the true teaching of Islam. I never used words like ‘repent’ or ‘conversion’. Expressions I used [in reconciliation meetings] were ‘enlightenment’ and ‘alignment of perception’,” he said. The minister may be telling the truth or just playing with semantics. In any case, most of the Sampang Shiites remained in limbo and unable to live normal lives. The case is far from being resolved. The Ahmadis, whose beliefs are considered deviant by the Indonesian Ulema Council (MUI), continued to endure persecution. In May, for instance, unknown assailants attacked an Ahmadi hamlet in Tenjowaringin village, Tasikmalaya, West Java. Twenty-nine buildings were damaged in the attack, including a mosque, a mushola (small mosque) and an elementary school. Amid persecution of the Ahmadis, the Religious Affairs Ministry in September granted Rp 1.2 billion (US$100,987) to 880 former Ahmadiyah followers in Tasikmalaya, in what could be seen as an example of the government’s blatant favoritism for mainstream Sunnis. Meanwhile, some Christian groups were still finding it difficult to have a church of their own. In March, Batak Protestant Church (HKBP) Taman Sari members in Bekasi, West Java, could only watch as officials demolished their unfinished church based on permit issues. In the same month and in the same regency, the local administration banned congregation members of the Indonesian Christian Church in Gembrong (GKI Gembrong) from conducting services at their church in Jatibening Baru. With religious violence virtually becoming the norm in Indonesia, a country that has often touted itself as a model for Muslim democracy, a number of local and international human rights groups issued damning reports highlighting the country’s failure to protect minorities. The government played down the reports, saying that foreign observers were “narrow-minded” and that the Ahmadiyah and Shia cases should not be used to gauge the country’s achievements. Indonesia, government officials claimed, was making progress. To prove its point, they highlighted the fact that this year President Susilo Bambang Yudhoyono was given an international award in recognition of his achievements in promoting tolerance in the world’s most populous Muslim nation. The award, given by the Appeal of Conscience Foundation, a Jewish group, was ironic and even insulting to victims of religious violence, activists said. The latest events regarding pluralism in 2013 were no less disheartening. On Nov. 26, members of the House of Representatives agreed to retain a provision in the Civil Administration Law that said the state recognized only six religions: Islam, Catholicism, Protestantism, Buddhism, Hinduism and Confucianism. Subscribers of indigenous beliefs will therefore still be barred from stating their faith on identification cards, a policy that has led to various kinds of discrimination against them. With the elections next year, the future looks grim for Indonesia’s pluralism. But it is too soon to lose hope. A bomb that exploded inside the Ekayana Buddhist Vihara in West Jakarta, injuring three and destroying parts of the site, failed to trigger a bigger violence in the country. The incident, the first in years, took place four days before Lebaran and at a time when the extremists were calling for revenge attacks on local Buddhists in relation to atrocities perpetrated against Muslim Rohingyas in Myanmar. Their calls went unheeded as both local Buddhist and Muslim leaders called for restraint. The small but uplifting victory of Jakarta Governor Joko “Jokowi” Widodo over several local extremists demanding the removal of a Christian subdistrict head simply because she was Christian is also of note. The governor stood his ground in the face of intolerance and the people stood behind him, giving hope that rising intolerance does not simply mean the end of tolerance. The Bali Package: Good for development? Will the rage of Bangkok spill over to Manila?